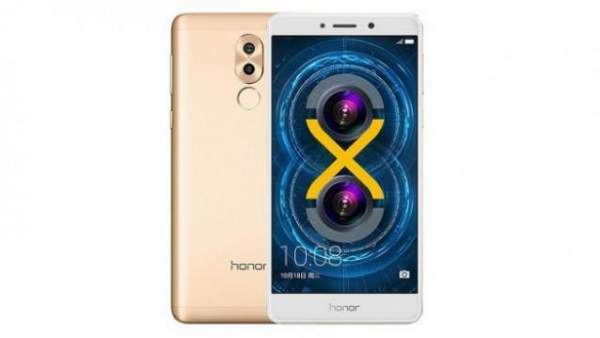 Huawei Honor 6X Price, Specifications, Features, Release Date: Huawei, the Chinese smartphone company has sent the invites for the launch of its upcoming phone Honor 6 X. The launch event is to take place on January 24. The highlight of 6X is that it has a dual camera. In the invites, Huawei hasn’t mentioned the name of its next phone which it is going to launch in January 2017. Huawei has managed to set a deal with Amazon India. It will be exclusively sold only on Amazon.in as confirmed by the biggest e-commerce site itself. The exact price of Honor 6X will be revealed on 24th of this month. Interested buyers can check the particular page on the Amazon India website. It has the information regarding its launch. It is already available in the Chinese market as it was launched in October last year. The Huawei-owned Honor is boasting its dual camera feature. Check: Xiaomi Redmi Note 4 Price & Specs. In China, Honor 6X smartphone is available at CNY 999 (Rs. 9900) and in five color variants – Gold, Grey, Silver, Blue, and Rose Gold. It sports a 5.5inch FHD IPS display and has a 2.5D curved glass protection. It features a Kirin 655 octa-core (4 cores clocked at 1.7GHz and remaining 4 cores clocked at 2.1 GHz) SoC. Moreover, the Huawei Honor 6X phone is available in three variants depending upon the combination of internal memory and RAM; they are as follows – 3GB RAM & 32GB inbuilt storage, 4GB RAM & 32GB internal storage, and 4GB RAM & 64GB inbuilt storage. The storage can be increased as it supports microSD cards up to 128 GB. On the connectivity front, it comes with a dual-SIM support but a hybrid one. It means either you can use two SIMs or one SIM and a memory card in the second SIM slot. Speaking of the cameras, it has a 12MP primary camera on the back with a 2MP camera just below it. Also, it has an 8MP camera on the front for selfies. On the back side, it bears a fingerprint sensor just below the dual camera setup. The company boasts of unlocking the device in 0.3 seconds with its fingerprint sensor. Other connectivity features include 4G VoLTE, Bluetooth 4.1, WiFi, GPS, and other standard ones. On the battery end, it houses a 3340 mAh battery with fast charging support. The phone weights 162 grams. Stay tuned.